Is that possible to give an order to the sticky threads? Re: Give an order to sticky threads. You can ask and we can sticky it. 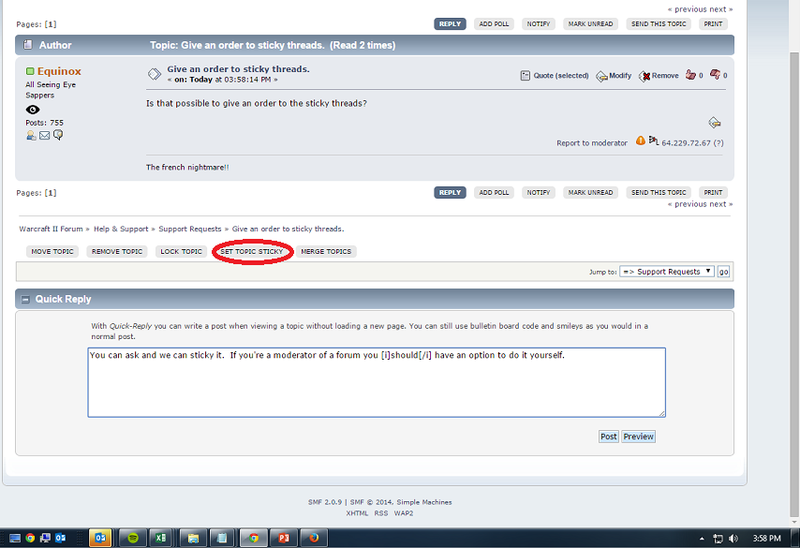 Also, if you're a moderator of a forum you should have an option to do it yourself. Yes but i want to give an order to my sticky, i got more then one and the order of thems are all random. Ahh... No, I think it just goes by order of last post, like ordinary forum order. Ok i got another solution i will talk about this with burnt thank you.